Ministry said that the local air traffic from January to August rose by 17% to 754.11 lakhs from 644.68 lakh during the corresponding period of previous year. Ministry of Civil Aviation on Monday released traffic data for the month of August. As per the data, among the private airlines, IndiGo maintained its highest market share at 39.8% by carrying 300.12 lakh passengers till now in 2017. In the month of August, IndiGo's market share was 38% a marginally down from July when it was 38.7%. Following IndiGo was Jet Airways, where its market share was at 15.9% in August as against 15.8% in July. Then came SpiceJet, where its market share stood at 14% in August as against 14.2% in July. Fourth in the list among the private players, was GoAir with market share of 8% in August as against 7.8% in July. Government-owned Air India's market share stood at 13.2% in August as compared to 13.5% in July. 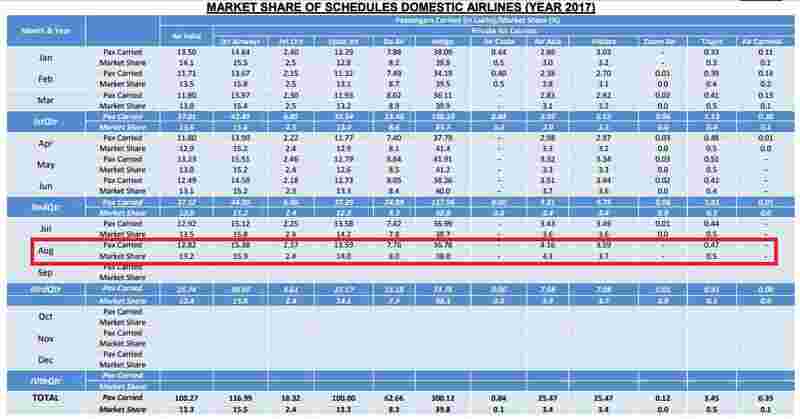 Moreover, as per the data, the passenger load factor in the month of Aug 2017has shown increasing trend compared to previous month due to beginning of festive season. 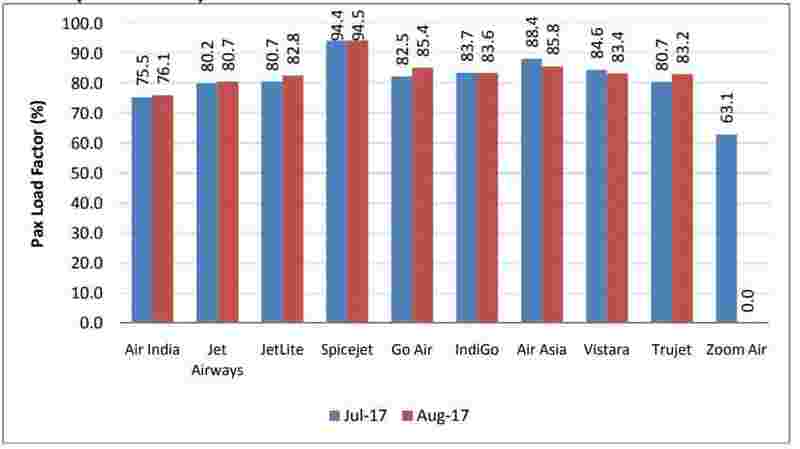 Tthe passenger load factor was seen highest in SpiceJet with 94.5% in August. 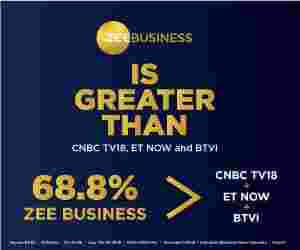 Followed by Go Air (85.4%), Air Asia (85.8%), IndiGo (83.6%), Vistara (83.4%). Further, during August 2017, a total of 599 passenger related complaints had been received by the scheduled domestic airlines. 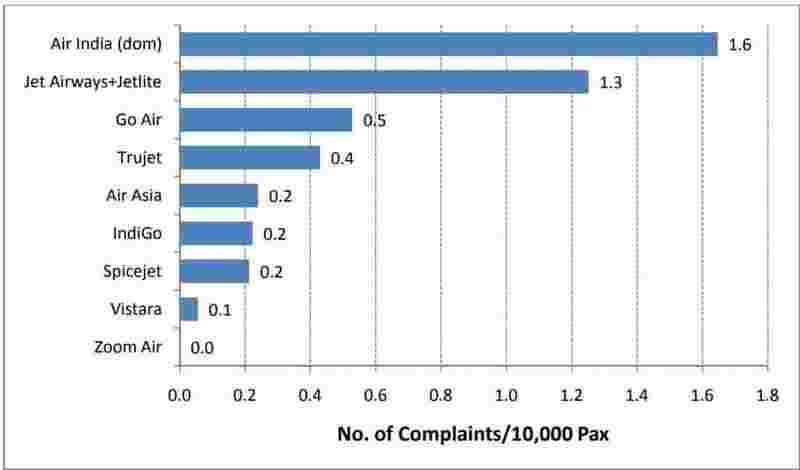 The number of complaints per 10,000 passengers carried for the month of Aug 2017 has been around 0.62. 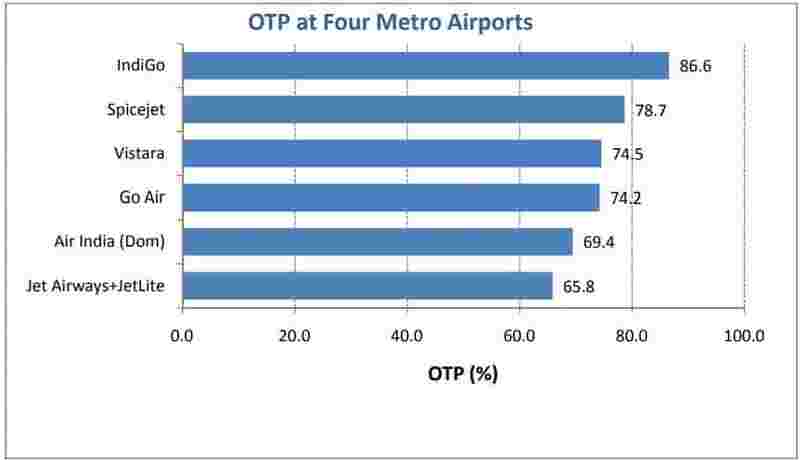 On-Time Performance (OTP) of scheduled domestic airlines has been computed for four metro airports viz. Bangalore, Delhi, Hyderabad and Mumbai, the data showed. Samsung Galaxy A70 vs Vivo V15 Pro: Which smartphone should you spend on?